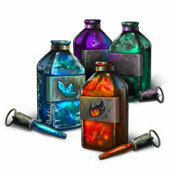 Guild Wars 2>News>Evon Gnashblade’s Weekend Dye Extravaganza! Evon Gnashblade’s Weekend Dye Extravaganza! 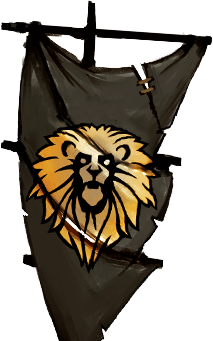 Whether you’re feeling blue or a slightly venomous green, the Black Lion Trading Company has a dye to suit your mood! From now until midnight PST on Sunday, January 26, you can pick up the retired Toxic, Flame, and Frost Dye Packs! Each pack contains one themed dye – don’t miss out on this chance to get one of eighteen exclusive colors! Pick up a Frost Dye Pack for glacial blues and wintry teals, a Flame Dye Pack for ashen greys and fiery reds, and the Toxic Dye Pack for eerie purples and vivid greens. Act quickly: these packs cost just 125 gems apiece or 500 for five, and they’re only available through Sunday!